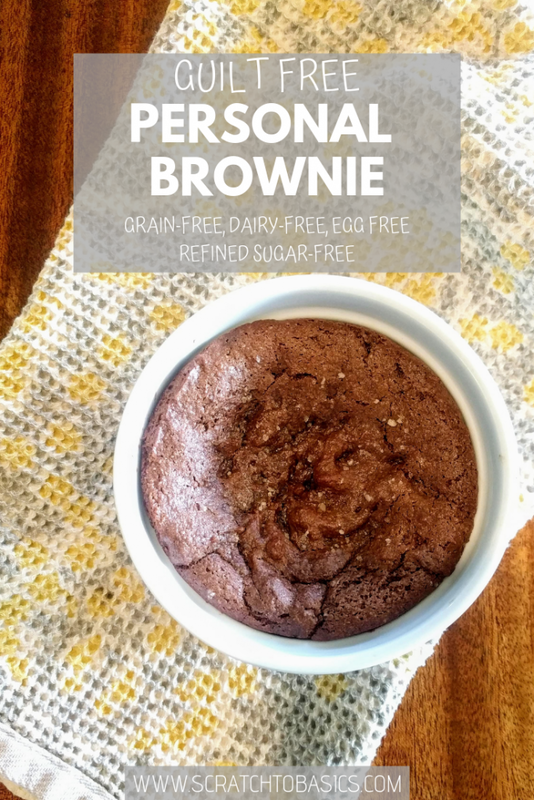 When you get a chocolate craving, but you think you just *might* eat the whole pan of brownies, this personal brownie is for you. It’s grain & gluten free, dairy free, egg free and made with cocoa powder. And it’s absolutely delicious. Give it a try. You won’t be disappointed. This is similar to a mug brownie recipe, except I made it in a ramekin. It’s a single serving brownie (maybe two people if you’re willing to share the goodness). I love chocolate. And I don’t discriminate about what form it’s in. Beverage (hot cocoa), brownie, cake, bar. I’ll eat any and all of it. Especially when it’s made with healthy ingredients like this brownie. When it comes to the darkness of the chocolate, I say the darker the better. If there’s too much sugar, it detracts from the dark, rich, bitter notes of the chocolate. And we don’t need excess sugar in our diet anyway. Made with real ingredients, this personal size brownie recipe is a winner. 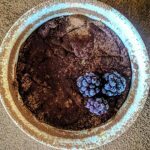 I’ve been working on identifying potential problematic foods for my body. If you’ve ever done an elimination diet, you know it can be hard initially to think of what you can eat. And of course, I really wanted a chocolate brownie treat. I thought there was no way I would be able to replicate the “brownie” I once knew. Because sometimes when you make substitutions for health reasons or because of food sensitivities, you sacrifice the flavor to get more nutrition. Not so with this brownie. 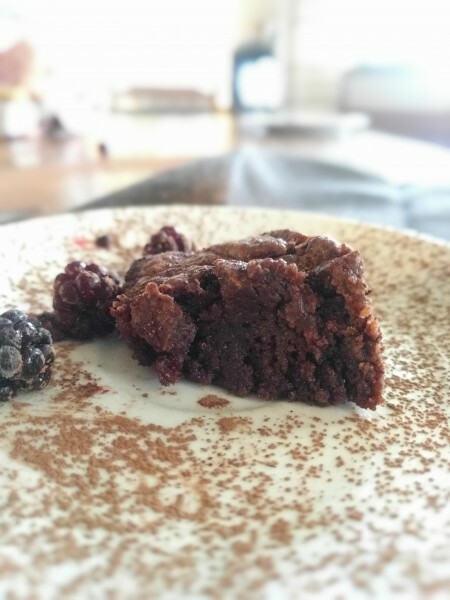 This brownie tastes just like the best dairy/wheat/egg filled recipe I have ever made. So rich, so moist and so so so much chocolate flavor. I really hope you try it. Please let me know if you do! If you’re looking for more ways to add healthy snacks into your diet, sign up at the bottom of this page for the Resource Library. You’ll find some awesome resources there, including a free cheat sheet with healthy snack substitutions. I love this “personal” size, because usually when I want one of these brownies, I just want one (well, I want 10, but I know that won’t be a good thing). So instead of trusting my self control around a whole pan of brownies, I can just make one ramekin for a single serving. 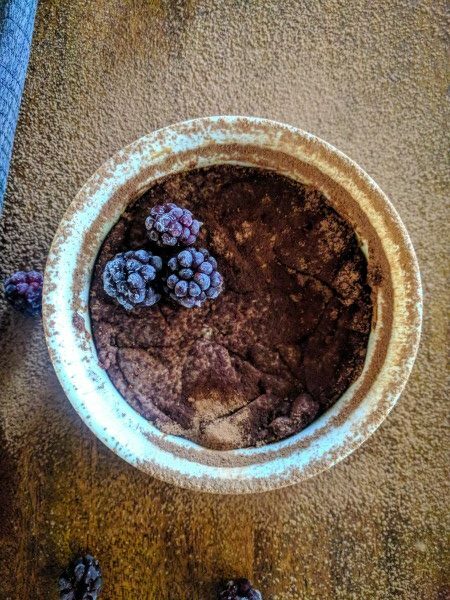 I used a ramekin that’s 4″ wide at the top rim. Really, it makes more than one brownie serving. It’s more like two servings. But I think it’s the perfect amount for a personal size brownie recipe. Enough to satisfy your craving (and then a few more bites a little bit later). 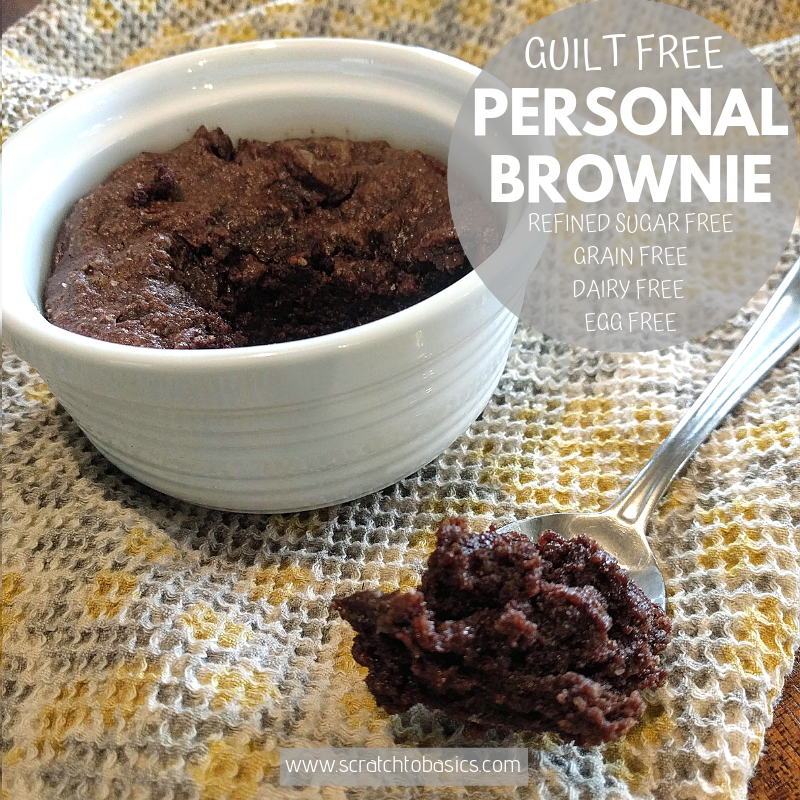 If you have more self control than I do, or if you’re making brownies for a crowd, try this full-pan version of this guilt free brownie. 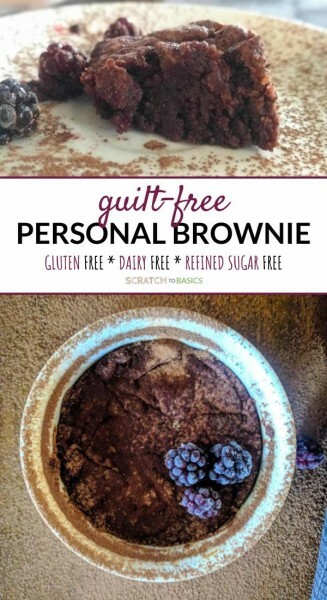 A guilt-free brownie for one or two people. So delicious with healthy ingredients. Cook for 10-15 minutes in oven. For a gooey brownie, cook until the top is just set (for me that was right at 14 minutes, but I checked it at 8, 10, and 12). Let cool (if you can resist) before eating. 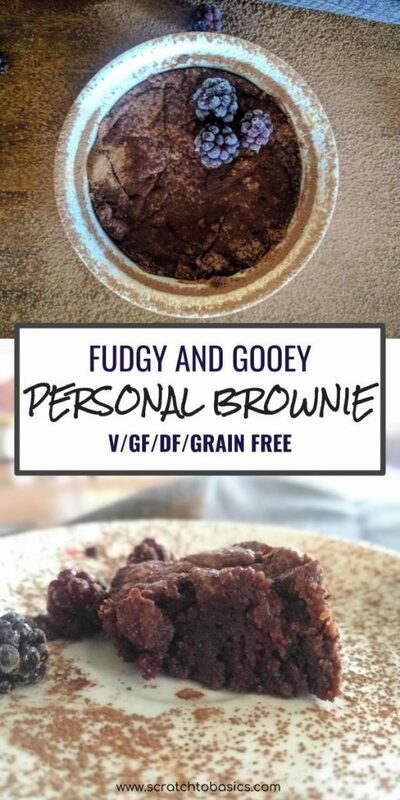 If you decide to make yourself this single serving brownie, let me know how it goes in the comments below. Dont’ forget to share on Pinterest!!! You and me both, Shelley! A whole pan recipe is in the works. I’ll let you know when it’s finished :). Thanks for stopping by! AH yes, I was going to say the same thing!